Thank you to everybody who came to share the Yoga Day Retreats this spring. Here are some films from our recent events. 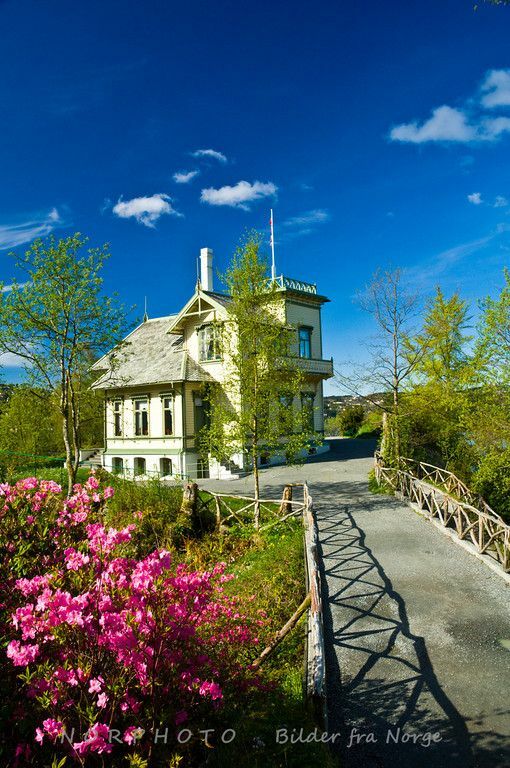 A collaboration of music, yoga, movement and Norwegian cultural history in three composers villas: Edvard Grieg, Harald Sæverud and Ole Bull. A unique and new experience of these national treasures, a meeting of music, movement and healthy food whilst getting a new perspective of these cultural landmarks in a never before experienced event. 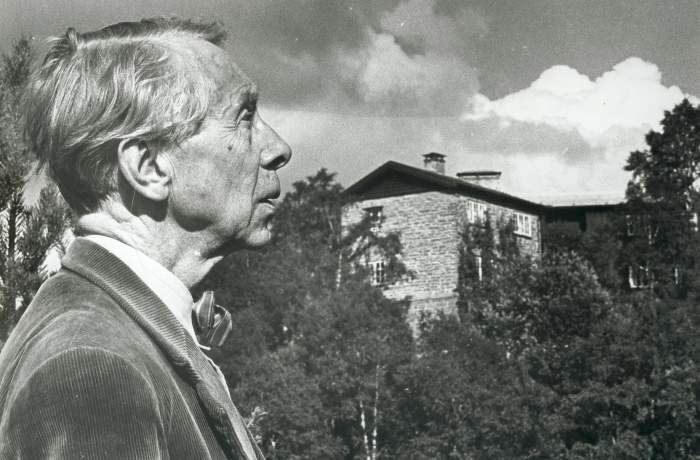 To entwine themes of each of the composers with music and yoga in three retreat days. To celebrate these cultural gems and to use their inspiring history and environments in conjunction with yoga and movement practice and offer a unique and very special experience in an equally special environment. Troldhaugen, Sunday March 2 – Here´s a link to some photos and video taken from the event at Troldhaugen in March! 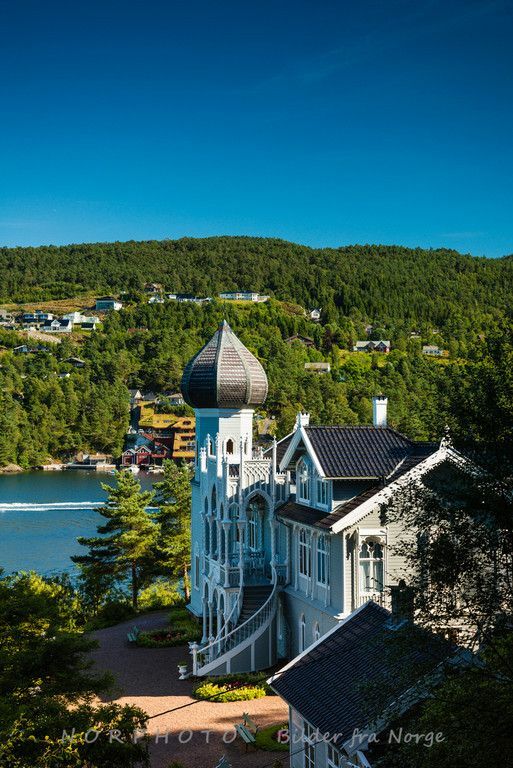 Norwegian composer Edvard Grieg’s house is situated in a stunning location at Hop in the Fana area outside Bergen. 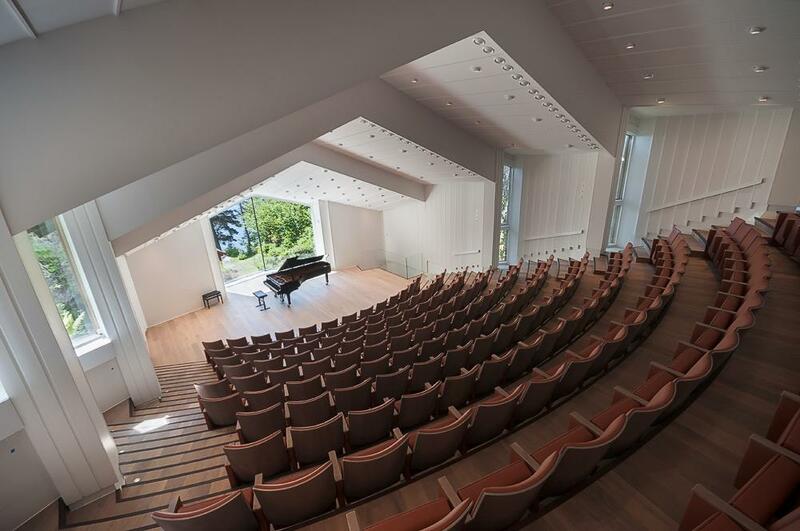 Newly renovated concert venue Troldsalen will be the location for our workshop with floor-to-ceiling windows behind the stage providing us with a lovely view of the composer’s hut and Lake Nordås. Maximum number of participants for this event will be 12. 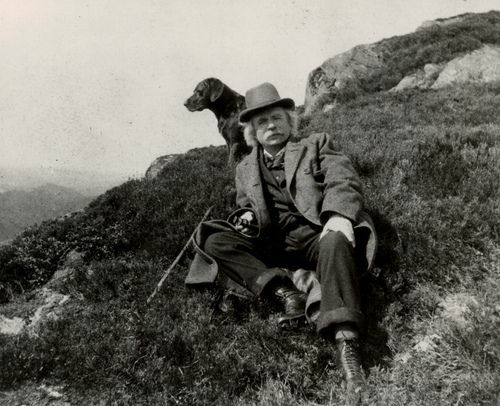 Edvard Grieg and his dog. Løvstakken, circa 1900. In Ytrebygda lies the former home of composer Harald Sæverud who lived and worked here with his wife Marie Hvoslef from 1939 till 1992. 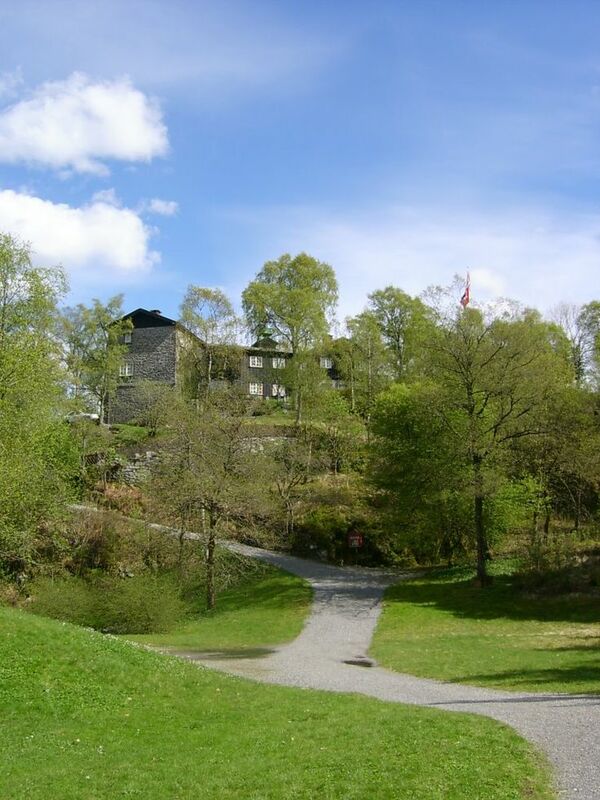 Siljustøl is a villa encompassed by a massive park area. 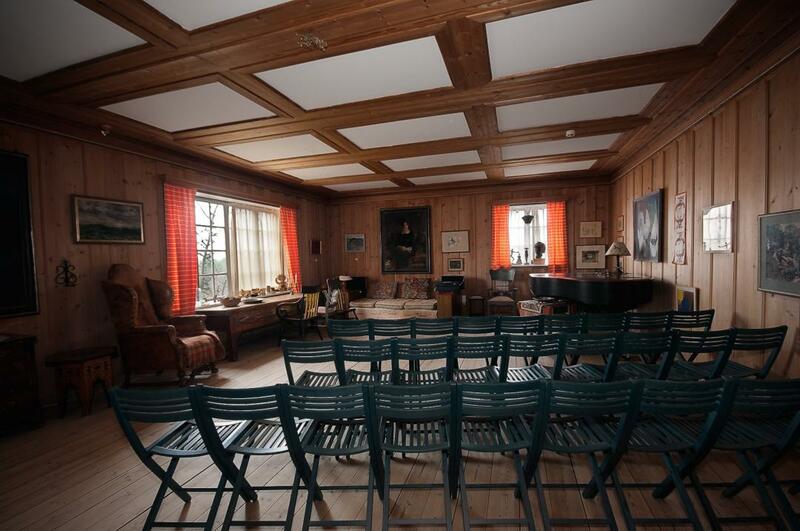 The workshop will take place in Sæverud’s upstairs music room. Maximum number of participants for this event will be 20. 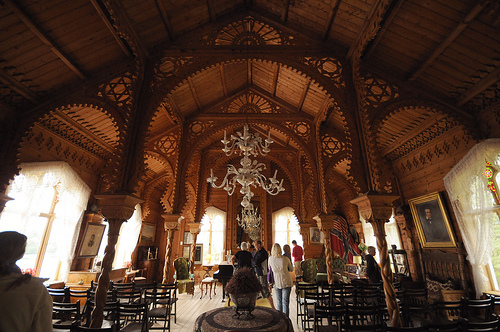 Lysøen is an island in the municipality of Os, and also the site of villa Lysøen, the house of eccentric violin-virtuoso and composer Ole Bull. The unique building is inspired by numerous architectural styles, including Swiss, Moorish and Russian. 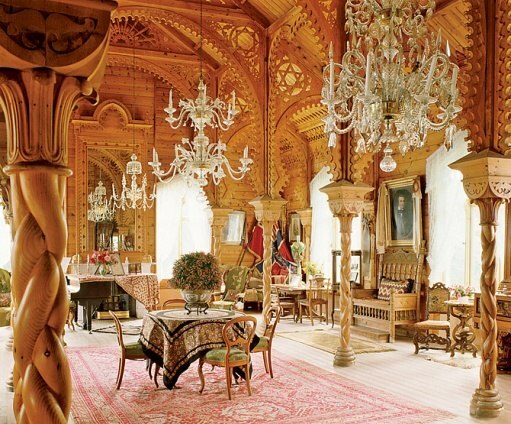 The workshop will take place in the music room, with a maximum of 20 participants. Dionne Elizabeth is a yoga teacher, writer and dj hosting regular classes, workshops and events in Norway and the UK . She has been working to combine yoga with unique cultural spaces including the oldest kindergarden in Norway and also with the art museums of Bergen (KODE) leading the Kunst + Yoga project since 2012 which aims to take yoga into unique spaces and encourages us to experience art, yoga and our environments with a new perspective. This combination of yoga with other creative mediums is central to her ethos. Musician Ketil Kinden Endresen has been working professionally as a musician since 2007 running many workshops, sound installations as well as writing, producing and performing in the band, Casiokids, recording and traveling to clubs and festivals all over Europe, North America, Japan and Australia. He also collaborates and DJs with Dionne Elizabeth and they create and host the Yoga Disco and other yoga, movement and musical experiences. finding your feet in your yoga practice. we explore and tune in gentle progression to find our perfect melodic equilibrium. choosing the right notes and combinations for ourselves. the study of ourselves and our arrangement separately and together. to appreciate everything being connected. a creative guided playful experimentation. 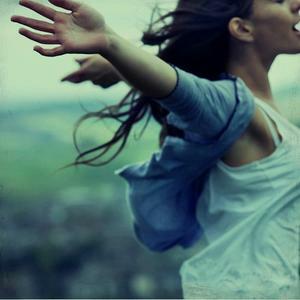 opening, exploring, feeling respectfully acknowledging our limitations and limitless potential. We are pleased and proud to team up with Bastant, a healthy and nutritious local organisation who will be providing lunchtime nourishment in the form of hearty vegetarian soup and bread. Fruit, nuts, treats, tea and coffee are also available on the day. 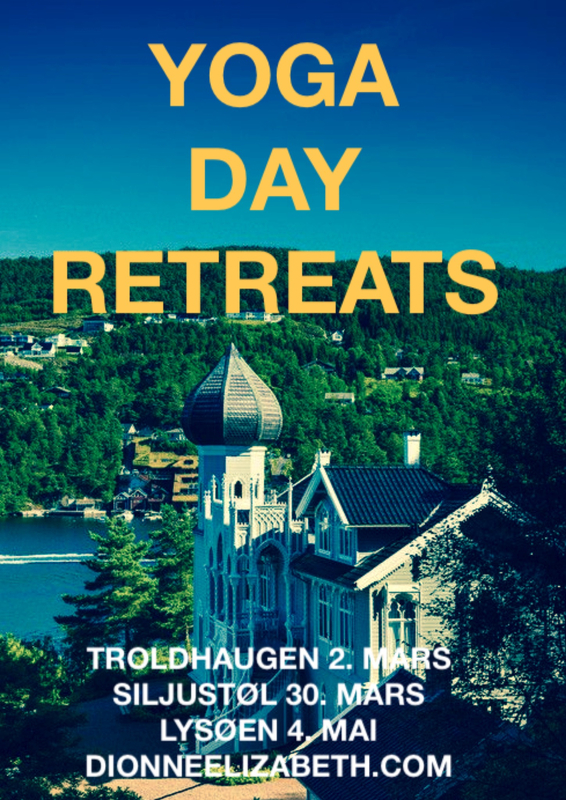 Price is inclusive of all yoga classes and workshops, lunch, tea, coffee and drinks, guided tour with representative from each venue and boat from the mainland to the island of Lysøen. You are recommended to bring a yoga mat (but there are mats available to hire) blanket, appropriate clothing to enable you to move in your yoga practice plus layers for changeable weather for an outdoor walk (the grounds in each of the venues are wonderful for walking and you will have free time to explore as you like). Some people have mentioned about car-sharing from the city and this is recommended, you are welcome to post on this page or the facebook page to organise with others. If you want to take public transport, details for each venue are above under the “map and transport” links. *To register and reserve your space, a 200kr non-refundable deposit is required. *The remainder of the payment is due one week before the event. *Pre-pay bank account: Dionne Elizabeth, 1203 91 73059 and please mark your payment with your name and the venue as a reference. *Deposits and full repayments are non-refundable unless your space can be filled. 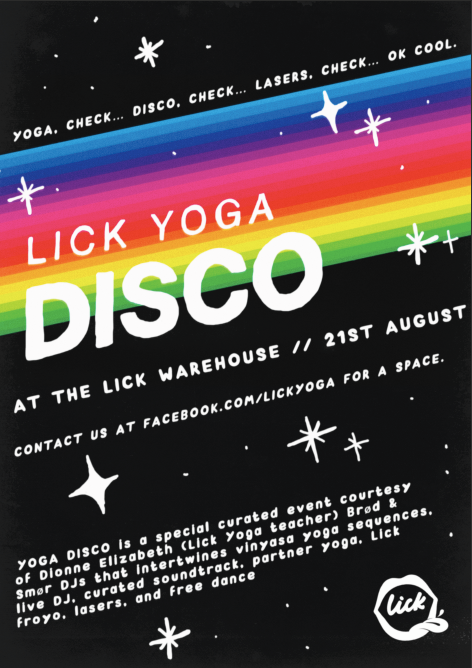 and a one-off special event the Yoga Disco, Saturday 10th August from 19:30. Recommendation: Mixed level class with adjustments and options offered to tone down a posture or take it to the next level. Each student is encouraged to work to their own ability and limits. Your first class is free, so come and try, see how you feel, and should you want to follow up, drop in classes are £9, alternatively you can have a spangly clip card which is more cost effective, 4 classes for £30. This will include the Yoga Disco event on Saturday 10th August at 19:30. Cash paid on the day is preferred, however card payment details can be requested via email. A friendly, safe, nurturing and fun class followed by tea and a chat should you fancy after class. I am inspired by Iyengar, Vinyasa flow, Jivamukti and Restorative/Yin yoga. Each class is different, and i curate a soundtrack with the sequence and theme for each class. Any body or level or experience is welcomed and props will be available and you can choose to use them or not. The Yoga Disco is still a yoga class, but with a twist. You can read more about it here. Neither could i when i took my first class! Accept where you’re at and be open to possibility because every day is different! Beginners are welcome to either class and will be offered modifications. That’s OK! I have some you can borrow! Simply email me(before 17:00 on the day) so i can reserve one for you. Doors will open 15 minutes before class. 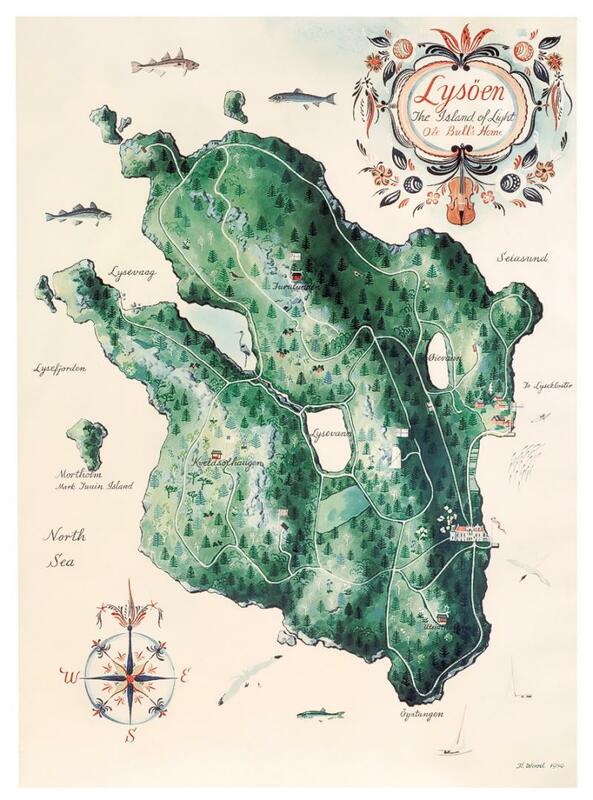 Here´s a map! Please arrive at least 5 minutes before class so that you can say hi to your friends and get settled into your mat ready to rock! Please feel free to contact me to discuss anything else. Usually, the best remedy to your queries is to come and TRY! 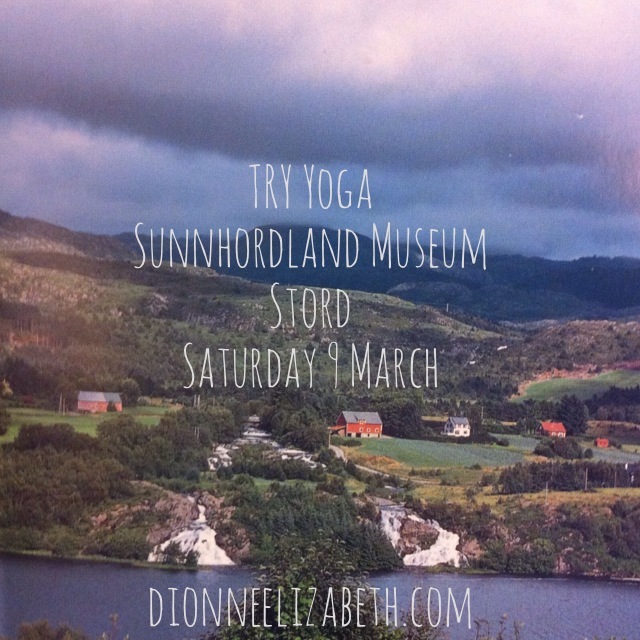 Very happy to share details of a new event – we´re going island style and taking TRY Yoga to Stord! We welcome you to join us this Saturday for what will be a very special event down at Sunnhordland Folk Museum in Stord. In an exciting collaboration, we use the beautiful museum and surroundings to present a day retreat, an opportunity to explore, refuel, release, re-energise and become inspired. Amidst themed yoga and meditation workshops and a fresh and healthy lunch, you will have the opportunity to explore the grounds and obtain a guided tour of this unique location. Dionne Elizabeth is a certified yoga teacher, DJ and writer from the UK. 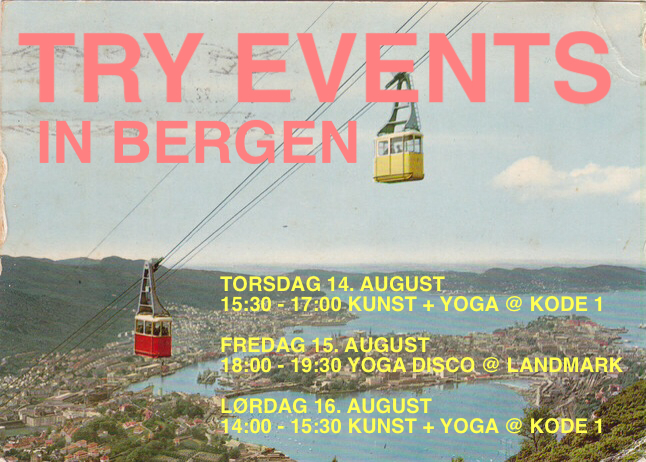 She holds a twice weekly residency of TRY Yoga classes in Bergen based at Herosalen, Bergen Barneasyl, as well as leading a weekly art and yoga event in collaboration with Bergen Kunstmuseum, plus classes at Yogarommet. 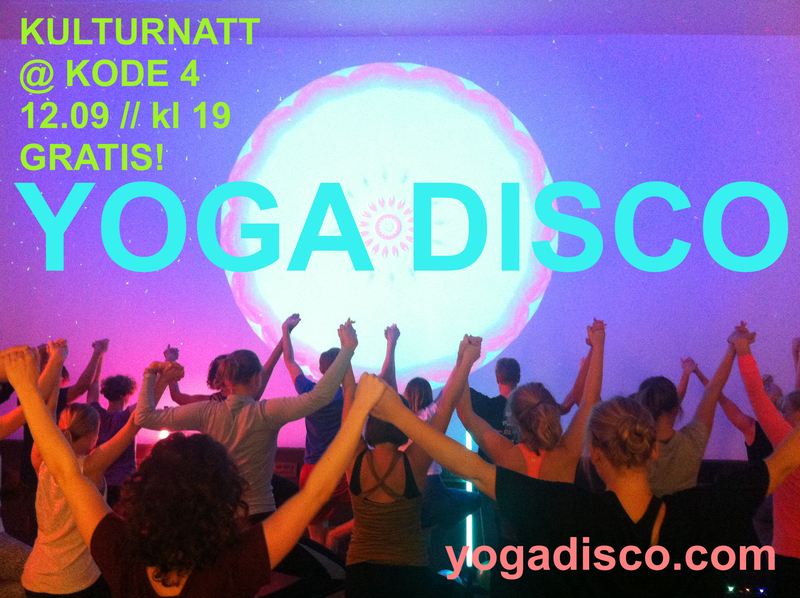 She also hosts Norway’s first Yoga Disco concept. 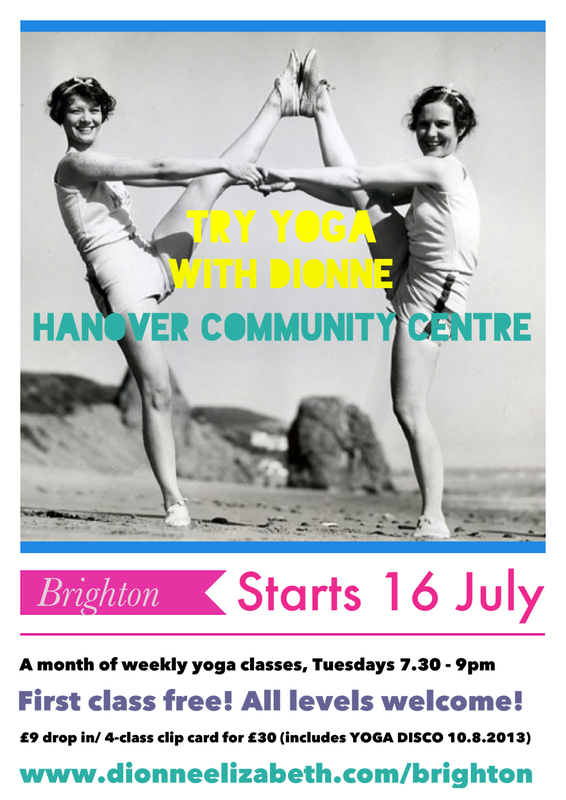 Dionne´s dedication to the harbouring of community is evident in her ethos: to make yoga accessible to all. Interweaving her love for music, dance, philosophy and writing, her classes aim to enhance our modern life with honesty, openness and joy. Shy of pigeonholes, she is privileged to study from a range of disciplines over the years and is a passionate yoga student and teacher. Adventures on and off the mat cement her belief that a creative and empowering life is available to everyone and is committed to encouraging her students to expand their perspectives with possibility and intuition. To reserve your space, email jane(at)sunnhordland.museum.no and please inform if you require a yoga mat. Payment: 650 inclusive of workshops, tour, lunch, drinks and fruit. It brings me great pleasure to announce the first workshop in a series of events at Herosalen, Bergen Barneasyl, on Sunday 17 February. I’ve been privileged to experience the magnificent, soul-euphoric sessions at Ambika’s HeartDance sessions in the city and am keen to spread the word on the amazing work she is doing here in Bergen and beyond. It has been a dream to collaborate with her on a project, and here we are! We are pleased to present a workshop combining dance, movement and yoga. A delicious and sumptuous exploration in creative movement and guided attention which invites us to reconnect naturally and joyfully with our bodies and our hearts. Join us for this collaboration between HeartDance and TRY Yoga: Bringing these practices together to strengthen and open our body and mind, develop its elasticity, flexibility and range of movement. We combine elements, exercises and techniques from different movement and mediation practices, emphasizing the passion, enjoyment and liberation in moving from the heart. We invite you to explore, to connect, to trust and to play… to increase our sensitivity and presence, and to enjoy the simple and natural pleasure of movement. No previous experience required, just come as you are! Elin Ambika Haugen is a certificated drama teacher from Høgskolen in Oslo. She has been a freelance actress and dancer for more than ten years, in Norway and Israel. Elin has her background in contemporary dance, and is trained in different styles of dance & movement, (such as jazz, yoga, butoh, contact-improvisation, and the five rhythms) For the past seven years she has been practicing mindfulness and meditation. Her passionate relationship with dance and movement, has developed into HeartDance her own approach to dancing as a natural expression. She has for the last six years held HeartDance classes and workshops. Join us Sunday the 17th of February, 18.00-20.30, at Herosalen, Bergen Barneasyl. Here’s our facebook event. Payment: 350kr / 250kr students or clip card holders for TRY Yoga or HeartDance. WE ARE BORN!!! 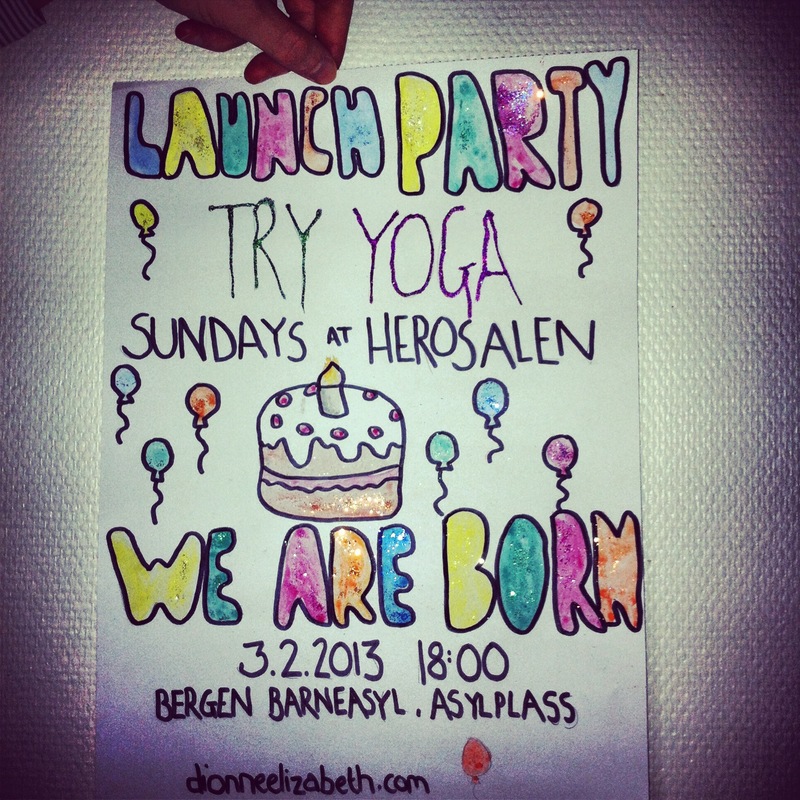 New Sunday Yoga class at Herosalen // Launch Party Sunday 3 February, 18:00! It’s happening! In addition to our Wednesdays at Herosalen we have a new class to our schedule and go live tomorrow at 18:00! 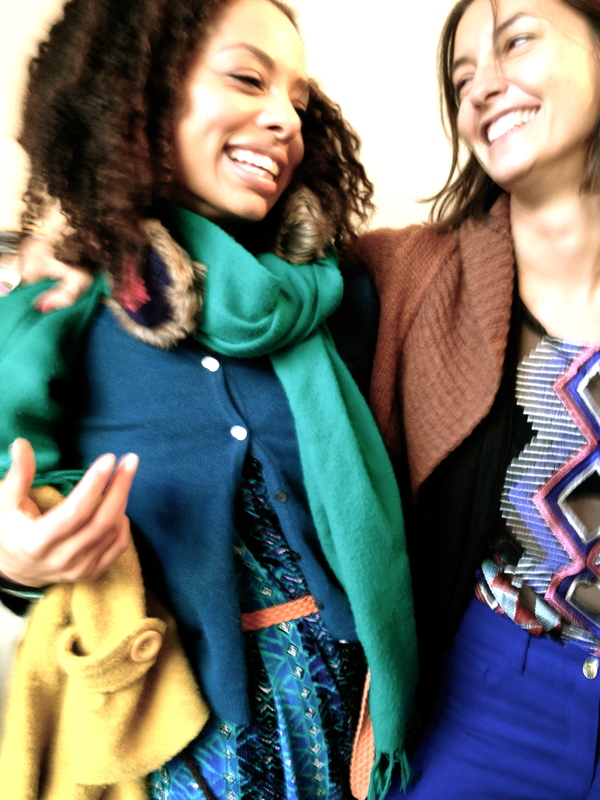 A yoga class/party/celebration! JOY! Clip cards for TRY Yoga valid here, and as always, first class is free. Very excited about what’s to come here…more details, click here! 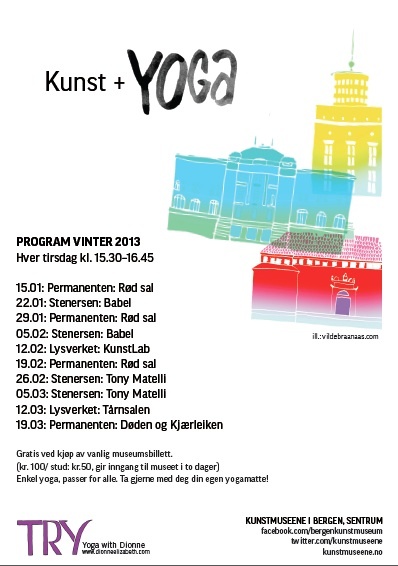 NEWSFLASH: KUNST &amp; Yoga schedule // Winter 2013! 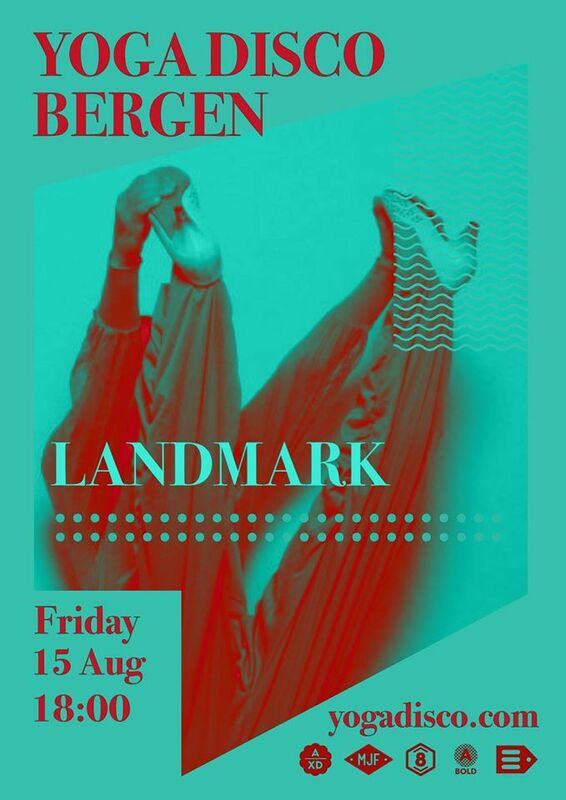 And so continues our project taking yoga amidst the art museums of Bergen. We are taking in some new sights and spaces and hope you’ll join us on this adventure! Gratitude for this opportunity!